Our most popular coffee with home coffee enthusiasts and a great single origin coffee. One of my favourite coffees to roast, they always deliver on aroma and taste and works well across all devices from Espresso to plungers. Our Colombian comes from the Bachue Plantation near the city of Bogota, one of the best growing regions in Colombia. 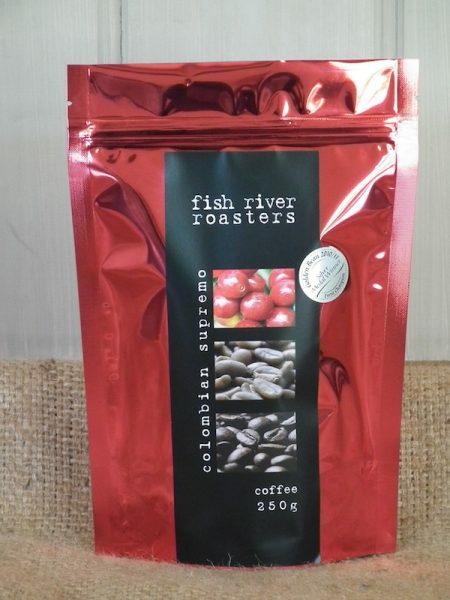 This coffee gives a distinctive chocolate flavour with a medium body, natural sweetness and mellow acidity. Be the first to review “Colombian Supremo” Click here to cancel reply.